St Peter`s Anglican Church was built in honour of a son of the Warren Family who was killed in action in France in 1918. St. Peter`s Church was constructed, in 1922, as a place of worship in the Badgebup community and commemoration for those West Australian lives lost in World War One. Memorial tablets to the fallen were unveiled in the church on the 16th February 1936. It was built as a memorial to John Campbell Warren, the son of a local farming family who was killed in World War One. The stone for the church was quarried from the Warren`s property, eleven kilometres north of Badgebup and carted to the site. The community was responsible for its construction. The sorrowing parents felt compelled to leave some tangible evidence of their son and decided the most fitting memorial would be a district church. R. L. Richardson enabled the dream to become a reality by donating an acre of land at the centrally situated Badgebup siding. The idea inspired all who heard of it, especially those who had seen active service, or had some personal tragic involvement with the war; from the architects- Eales and Cohen (a returned man), the stonemason, George Thorpe, who had lost two sons, and the carpenter, Tom and Cyril Berry, both ex-soldiers. Neighbouring farmers rallied around and carted stone to the site from the quarry blasted by Gilbert and J. C. Warren. In February 1922 Mrs Warren laid the foundation stone and in April 1922 Barbara Goodchild, the baby daughter of a returned soldier, was baptised within the three parts erected walls. Donations for the furnishings came from all quarters, including out of state Warren relatives and friends, and the Sisters of Perth College where the Warren girls had concluded their education. 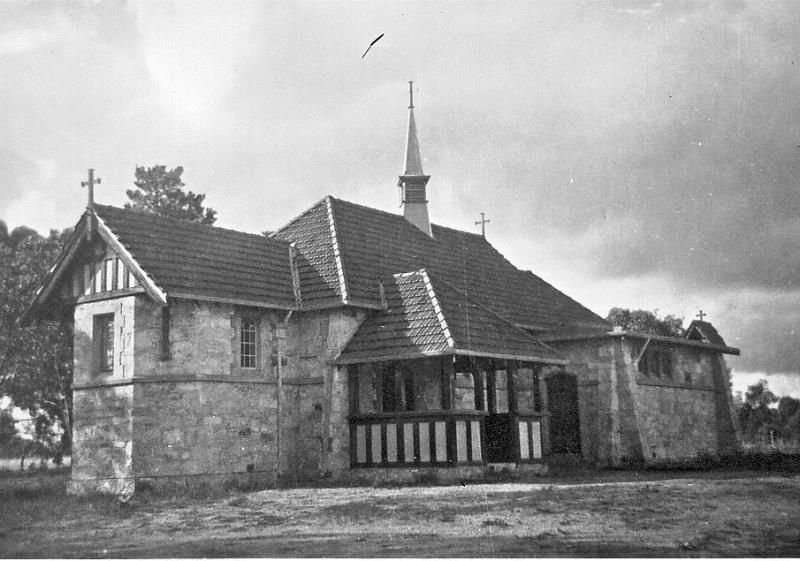 The church was was consecrated by Archbishop Riley of Perth on the 16 of September 1922. St. Peter's Anglican Church, Badgebup, was the scene of a noteworthy service on February 16 when a honour of the late King George V was followed by the unveiling of two memorial tablets on either side of the baptistry arch. The first of these was given by his parents in memory of John Campbell Dale Warren, in whose memory the church was built, and responsibility for the second was shared by Sir Maurice Hankey in memory of four kinsmen who laid down their lives for King and country. The service was attended by about 60 persons. The rector (Canon Watson) eulogised His late Majesty and spoke of those to whom the tablets had been erected. At the close of the third collect, the tablets were unveiled, the first by Mr. O. A. Caldwell, an old friend of the family, and the second by Mr. H. A. Fildes, on behalf of the Returned Soldiers' League and Imperial Forces. They were designed by Messrs. Eales and Cohen, of Perth (architects of the church) as a gift. The West Australian (Perth), 24th February 1936.